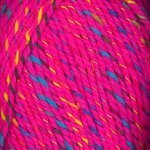 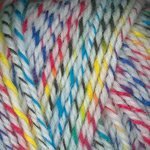 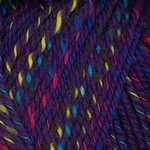 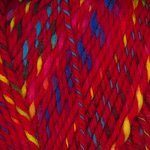 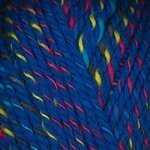 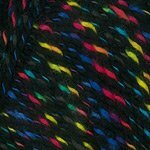 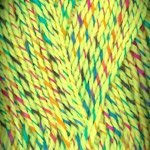 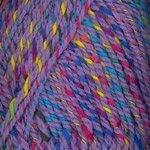 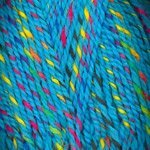 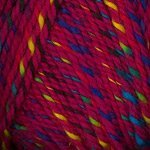 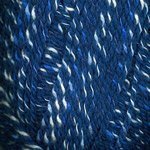 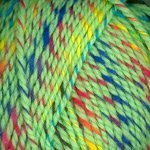 Plymouth Jelli Beenz is a fun acrylic and wool blend with vibrant colors. 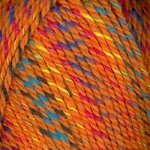 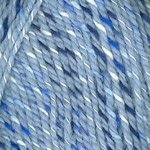 This 3-ply, worsted weight is part of the Encore family, and has two strands of a solid color wrapped up in one variegated ply. 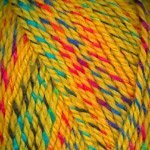 Jelli Beenz has a fun, playful color range that is perfect for kids and babies knit or crochet items.